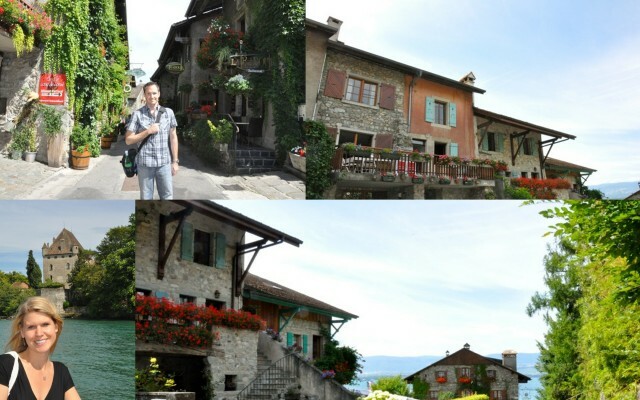 We had heard from our friend A that Yvoire was a really cool medieval town on the lake to check out. He had traveled there on a co-worker’s boat for dinner one evening. We personally think his way was the best way to travel. However, since we were in Northern Geneva countryside so that Gabe could attempt to teach moi how to drive a stick shift, it was only a 15 minute trip. It was a cute town and I can’t wait to bring my Mom back to see the beautiful flower covered buildings. But, as A had noted, a bit crowded so we might choose to go back in the evening or when it isn’t the middle of summer. Another small world story – we bumped into a lady Gabe works with in Yvoire. So, two days in a row, we have collided with people we actually know while we were out and about. Switzerland is starting to feel like home! 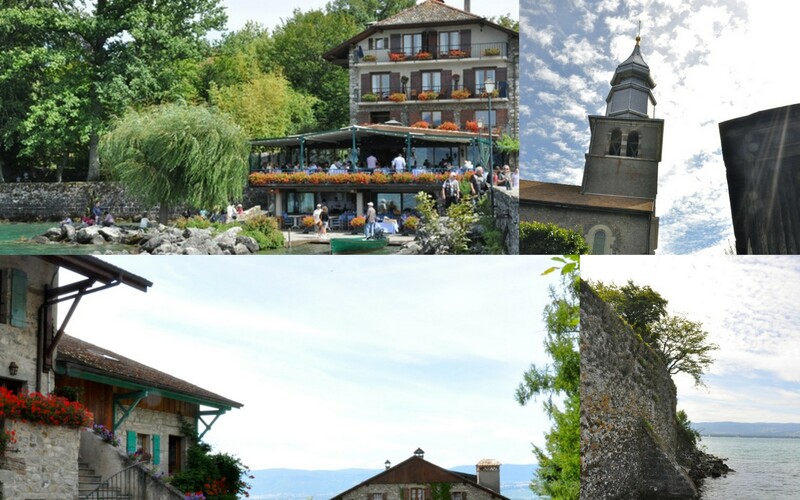 This entry was posted in Beaches, Cute Towns, Daytrips from Geneva, Lakes & Water, Summer, Travel: Europe. Bookmark the permalink. Beautiful scenery. It’s so great that you are getting to explore so much and capture these wonderful memories! Luv the exploring & pictures !!! Would love to live in that hotel or restaurant where the water comes right up to meet the lower level. Is the water cold?